Want to take your dry firing to the next level? LASR enhances the self-diagnostic SIRT by tracking all your hits and recording the timing. 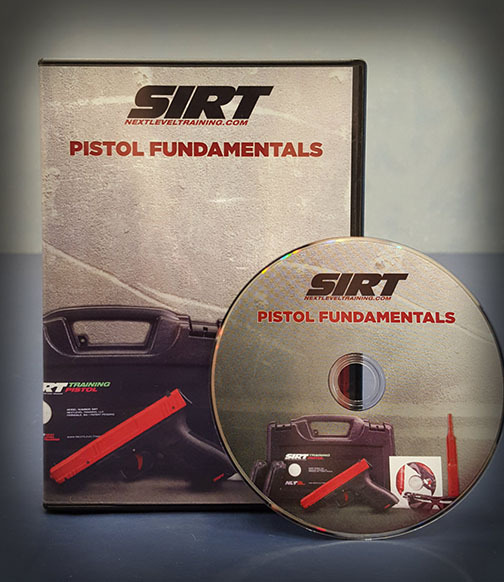 The SIRT pistol is a great self-diagnostic dry fire tool because you get instant visual feedback from each of your shots. While our brains can handle a few shots, if you want to break down timing and see where you hit over the course of an entire drill, you are going to need some help from LASR software. Think of it as a virtual bullet hole. That mixed with a robust timing feature allows you to track your speed and accuracy inside your own home. Setup is easy. Install the software on any windows computer with an external web camera, go through a basic set up, and you are good to go. If you don’t want to use your own computer and camera, they offer a stand-alone LASR Station as well. Watch this quick video to learn more and see how LASR software can improve your training. Awesome technology! Is the software “user-friendly” (easy to do) and how much is the basic price? We sell the L.A.S.R. software for $120 on our site at the link below. I’ve found the software to be a breeze. Just make sure you are using an external webcam. Yes, it is user friendly, easy to set up for basic training, but also has features that enables you to create more complex exercises. You can load the software and mark a single target, say a picture frame on a wall, and start shooting in about a minute. Have you considered modifying the pistol so the laser only ‘blinks’ rather than stays on as long as you press the trigger. 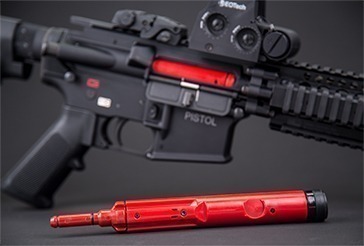 I have a Laserlyte pistol that does this, and really like not having the laser on until you relase – closer to what happens with a real pistol. 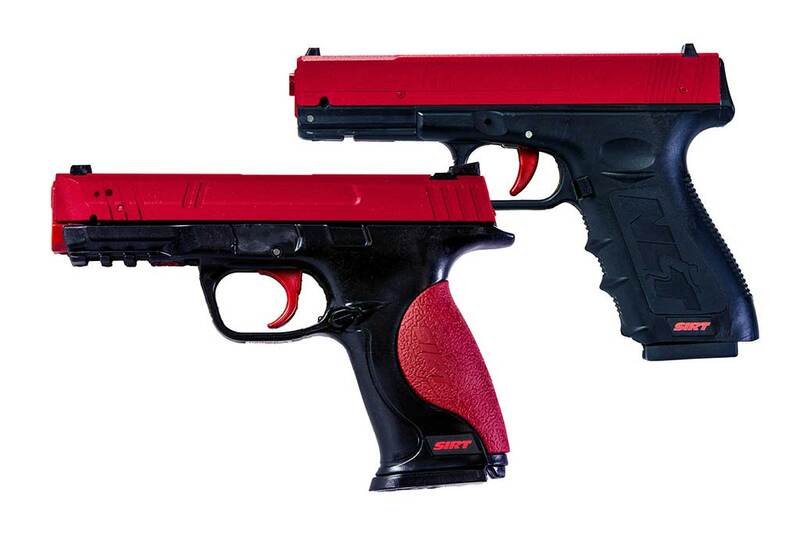 Problem is, the Laserlyte pistol keeps breaking, has an awful trigger, does not have removeable magazine, has no rail for light – and is too fat for my G17 holsters, so I am about to purchase a 110. Just find a short duration laser pulse would improve the 110 a lot. Hi Michael, We considered a blink, but we found the diagnostics with the laser staying on when the trigger is fully pulled rearward far outweighs any benefit of blinking. 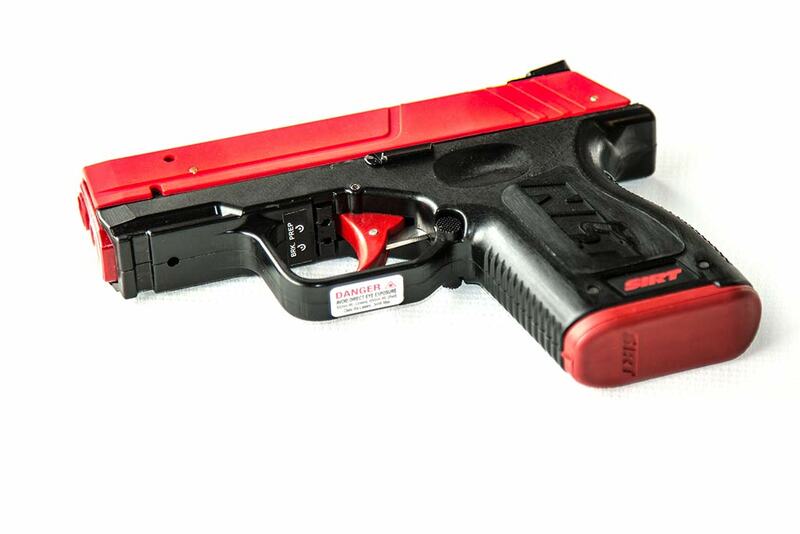 The laser sweep provides significant feedback as to the quality of the trigger pull and ensures we are not pinning the trigger (holding it backward for no reason). On that note, the constant on laser entices to get back to the reset quicker to reset for the next shot.